CareDox alleviates hassle by collecting all existing medical data and getting it digitized & centralized. CareDox was founded on a simple yet compelling premise: providing free, secure medical technology for K-12 public schools ensures better, more consistent health care for Americas children. 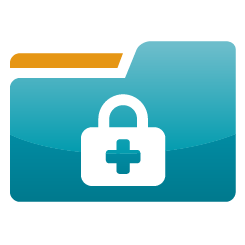 Our secure, HIPAA & FERPA-compliant platform is the crux of a new healthcare delivery model, providing parents & providers access to student medical charts, as well as useful alerts about health events. Today, we cover more than 4 million students in over 4,000 schools (nearly 20% of the total addressable market!) and, via our partnership with Healthy Schools, have expanded our in-school offerings to include much needed curated solutions (immunizations, wellness checkups, care management programs, & more) at no cost to schools & families (funded by health insurers). In early 2018, the company closed a Series B financing of $16 million, co-led by AI Life Sciences Investments (a division of Access Industries, a deep pocketed tech investor) & 7wire Ventures. CareDox is headquartered in Manhattan, with regional offices in Florida & Texas. We are a team of passionate individuals driven to provide the right care in the right place at the right time, & we want you to join us.